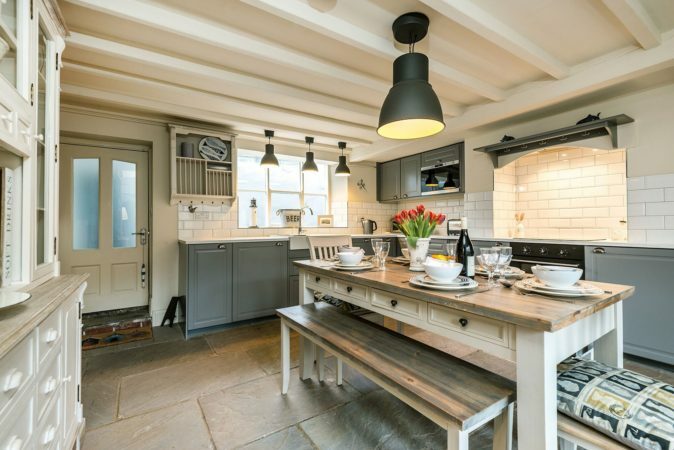 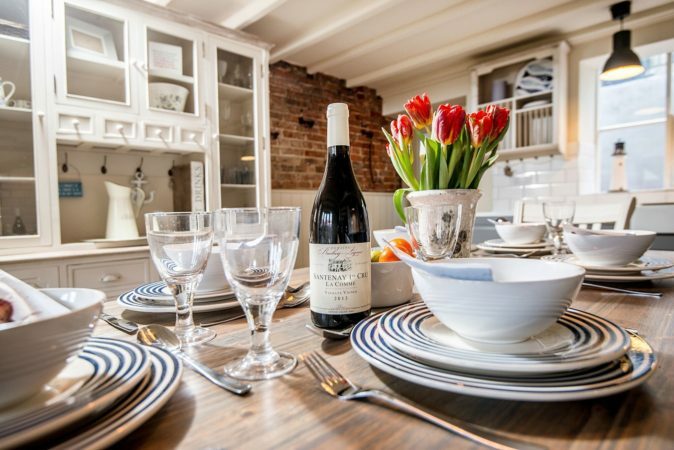 Greenfingers is a 270-year old fisherman’s cottage that’s been lovingly restored to exquisite tastes. 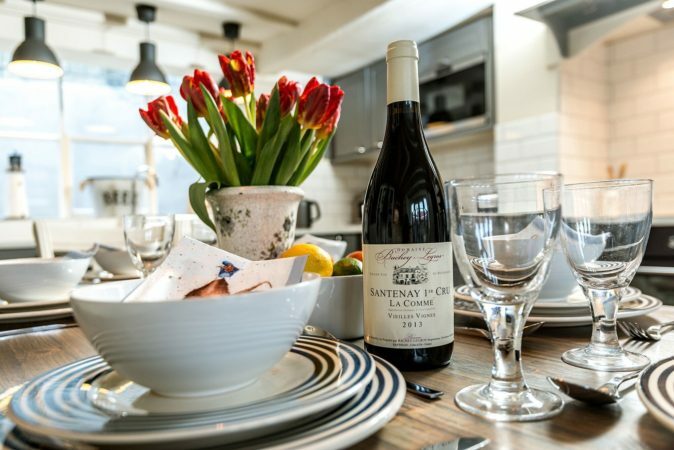 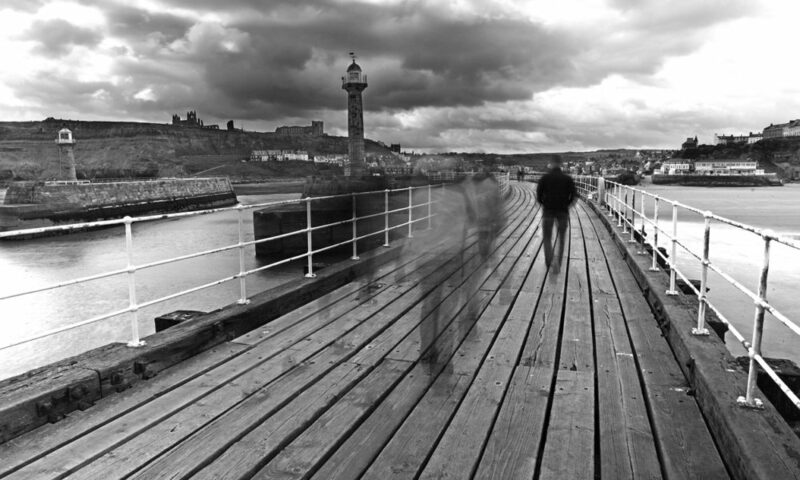 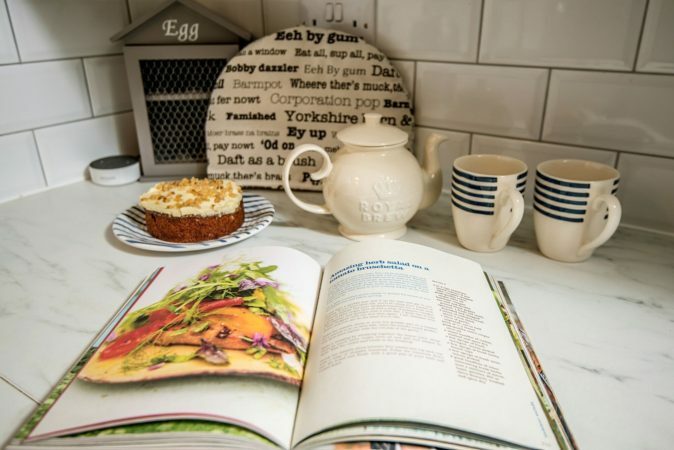 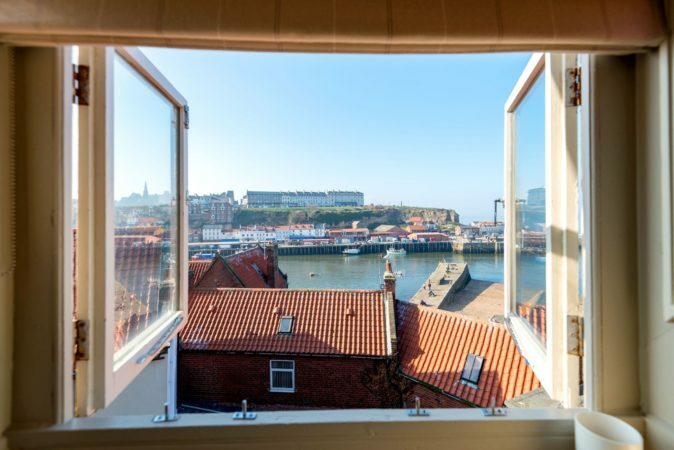 It’s ideal for up to six guests and central to Whitby’s most important tourist sites. 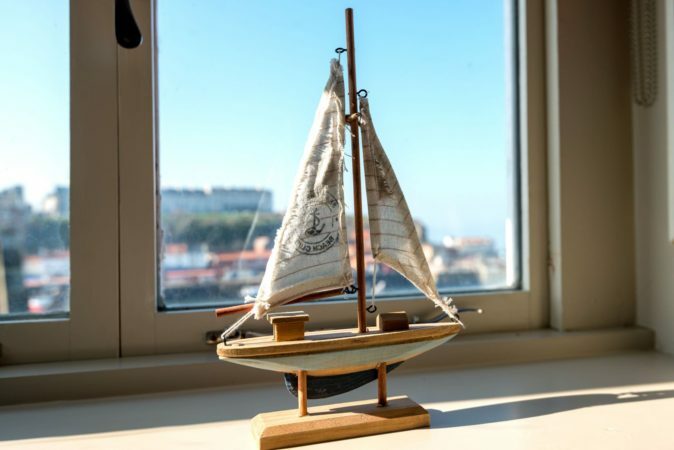 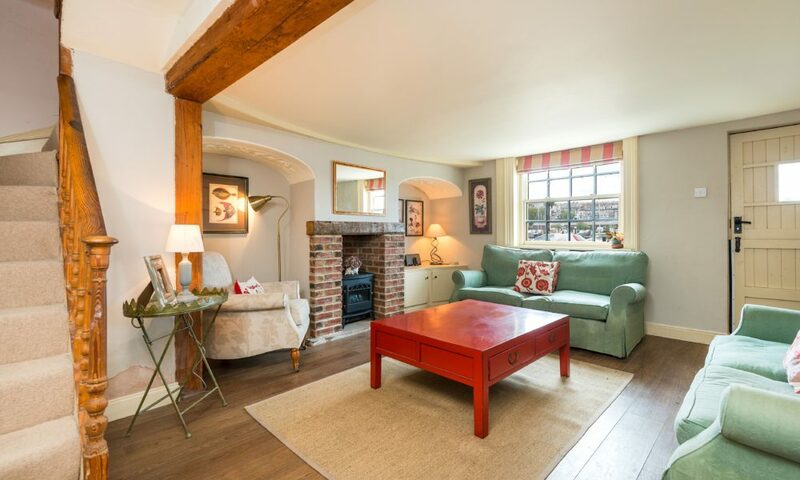 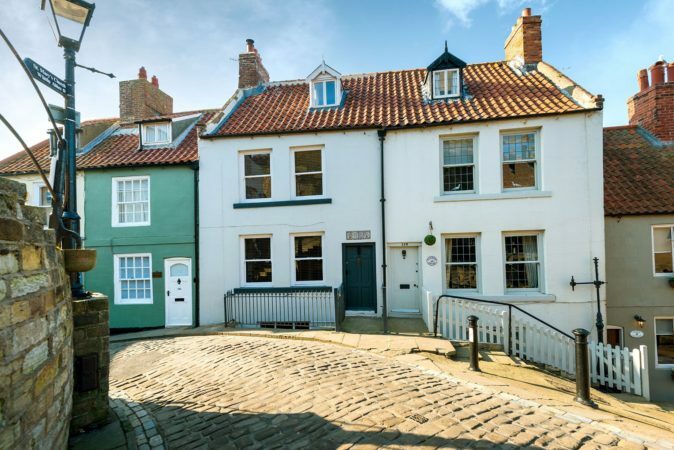 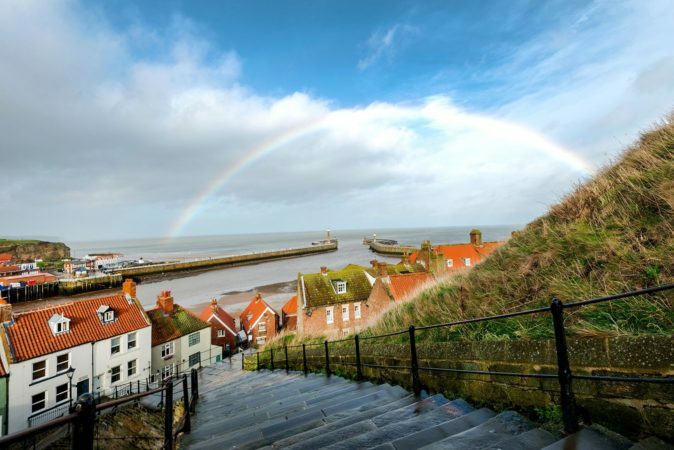 Immerse yourself in Whitby’s history at one of its oldest fisherman’s cottages. 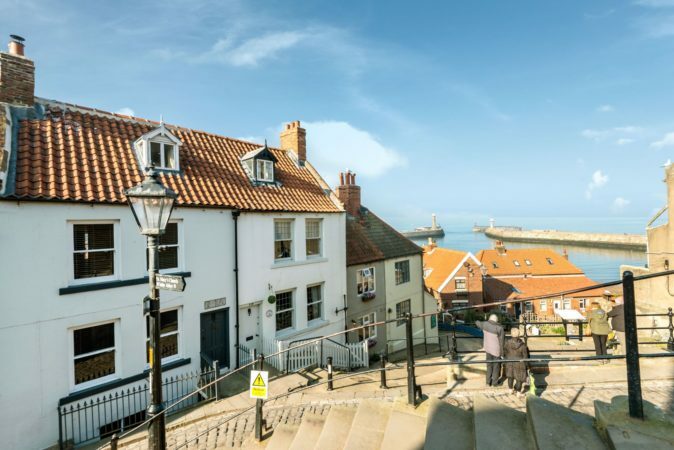 Greenfingers, along cobbled Church Street, had already housed a generation when local apprentice Captain Cook embarked on his exploration to Australia, around 1768. 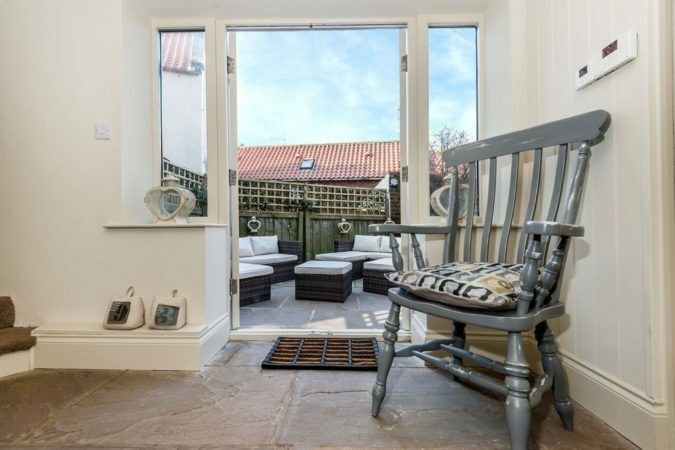 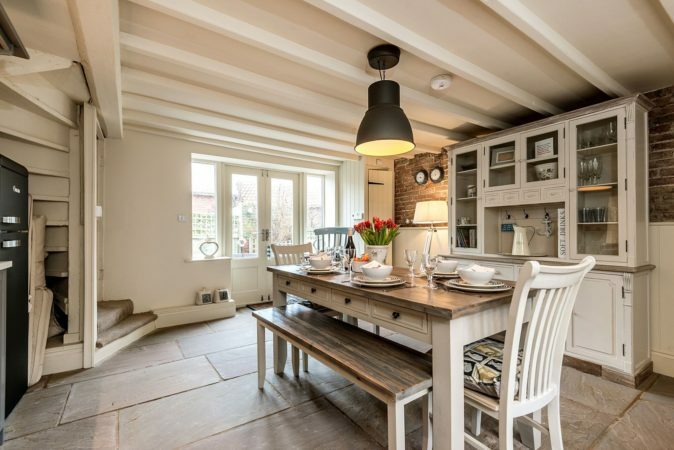 Set over four floors and with steps throughout, Greenfingers has been superbly restored. 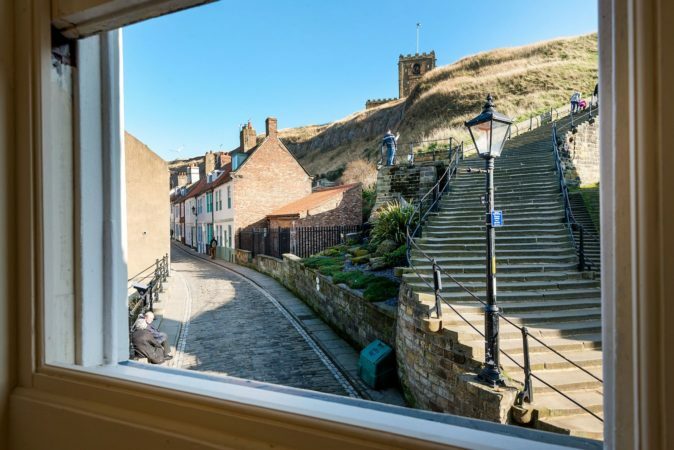 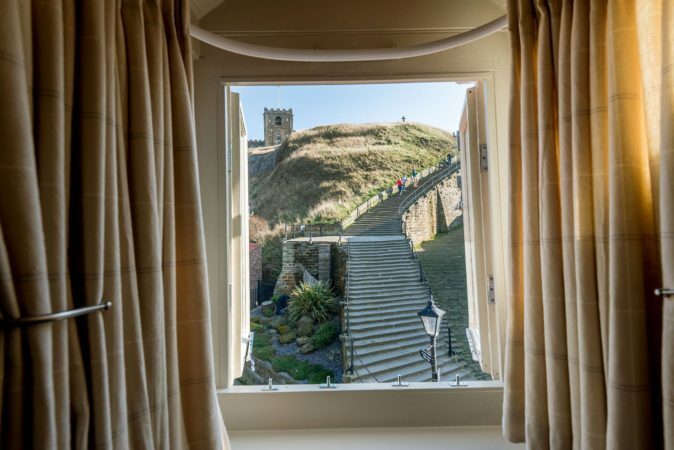 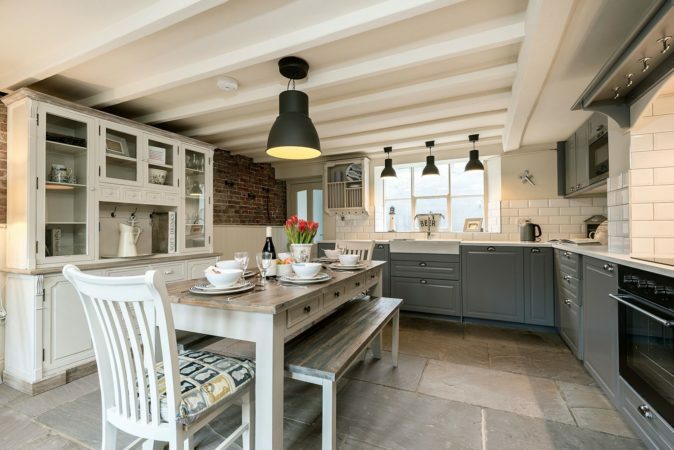 It provides a family of six with the best views of Whitby’s 199 abbey steps, or the sea from upper windows – location doesn’t get more popular. 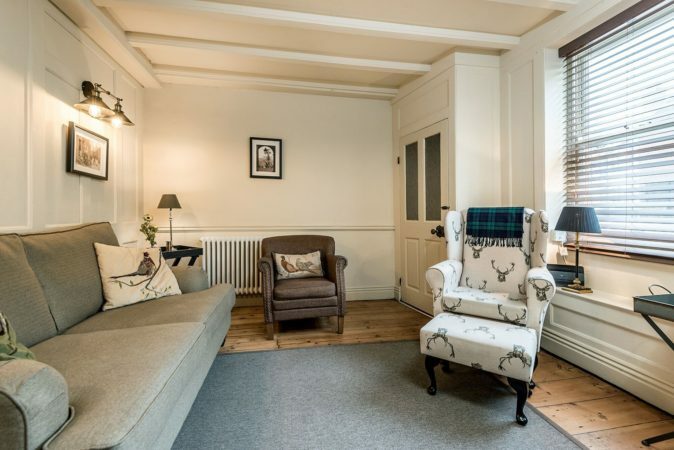 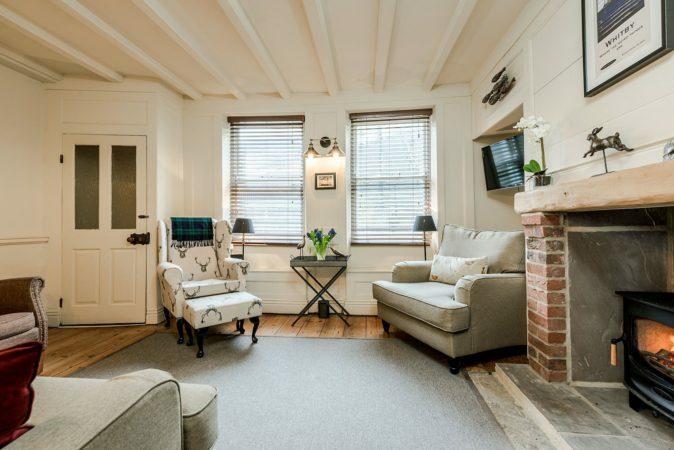 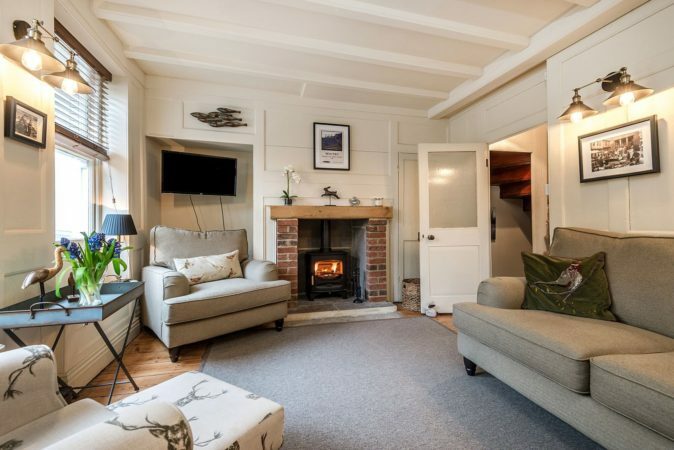 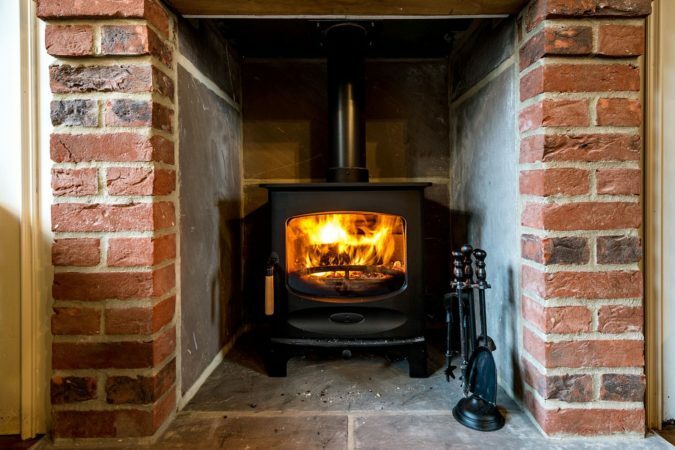 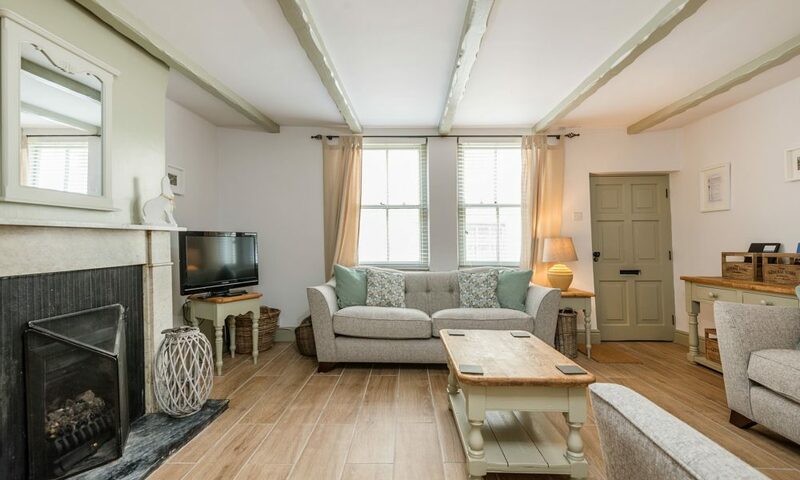 We’ve rated this cottage five stars for its luxury and modern comforts including wood-burning stove, free WiFi and Netflix account. 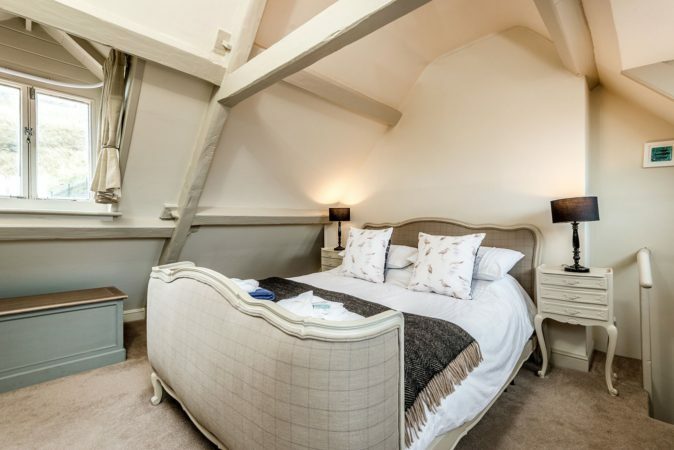 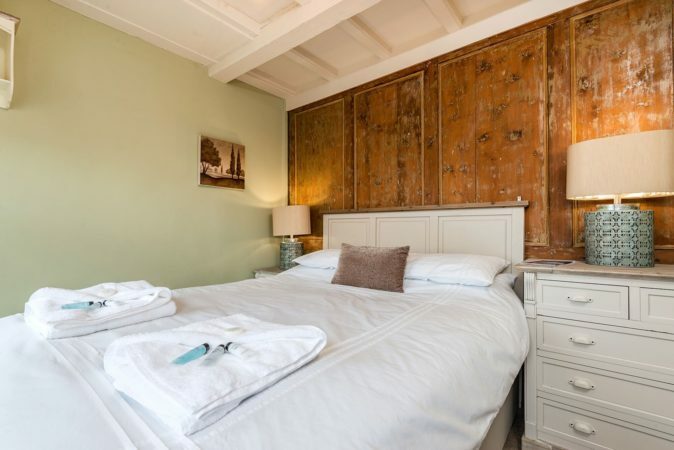 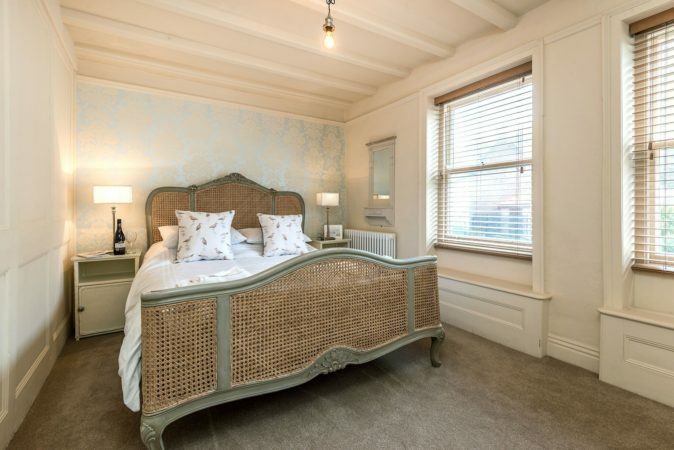 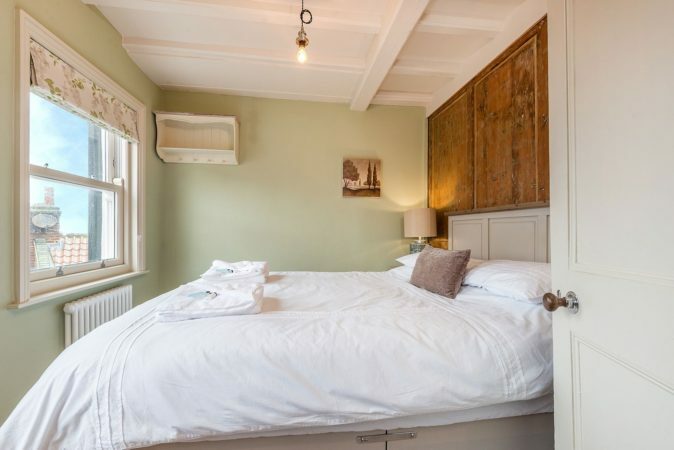 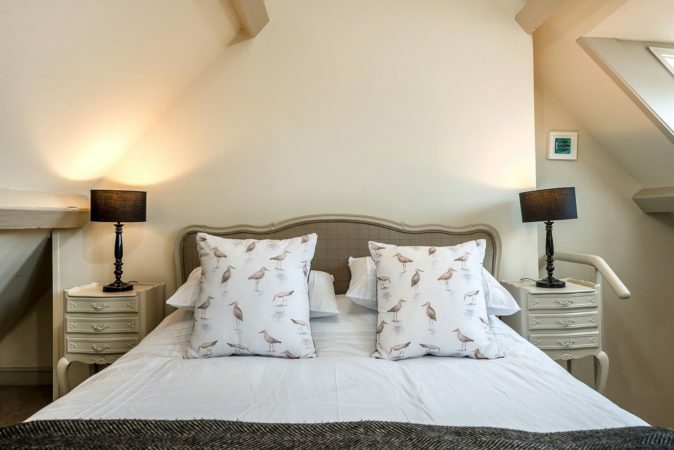 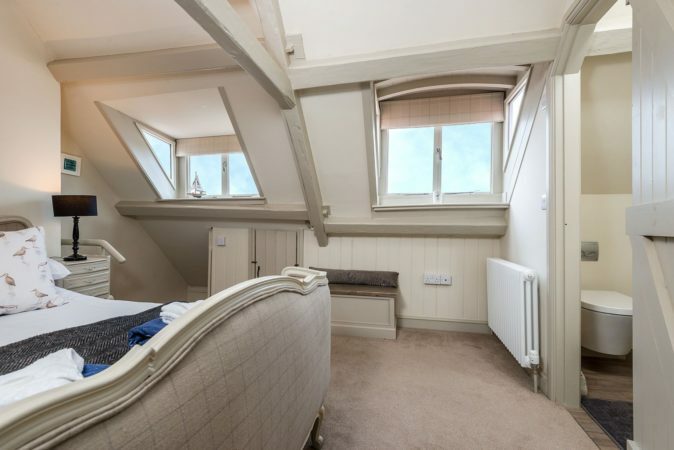 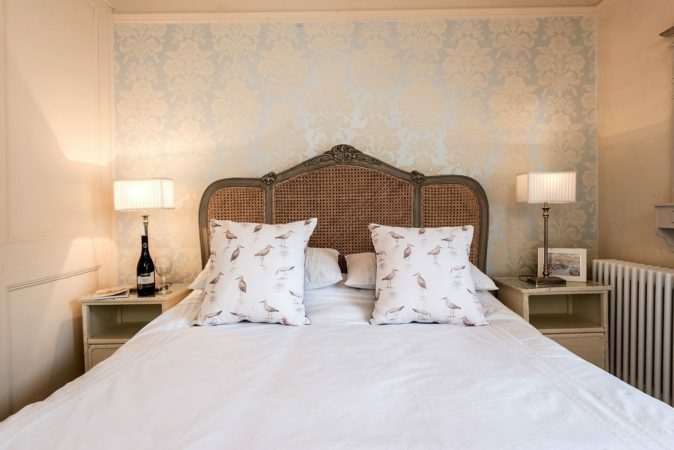 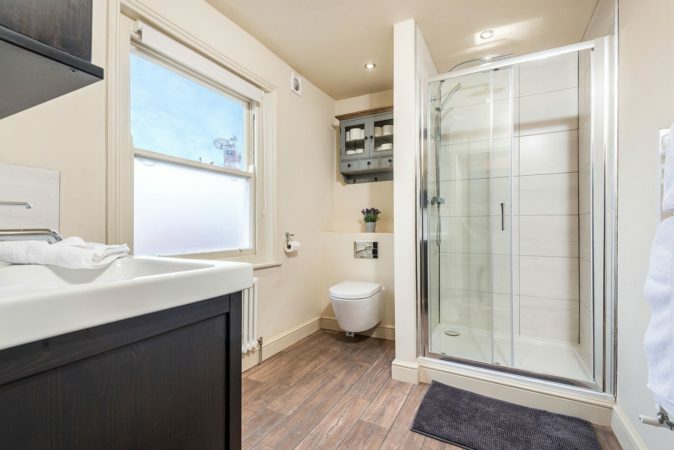 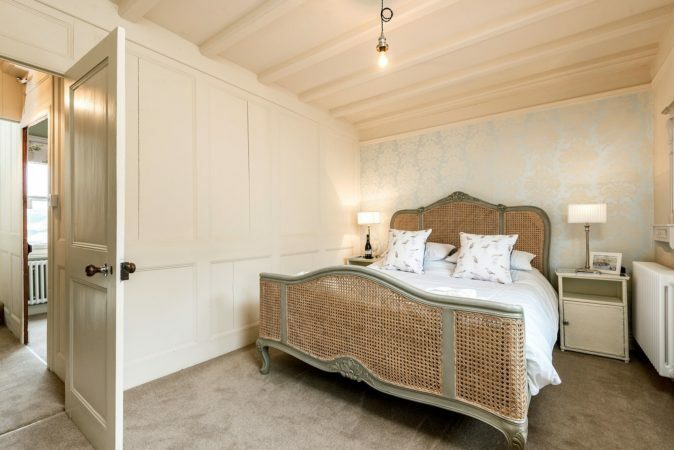 All three king-size double bedrooms are spacious and one has an en suite shower. 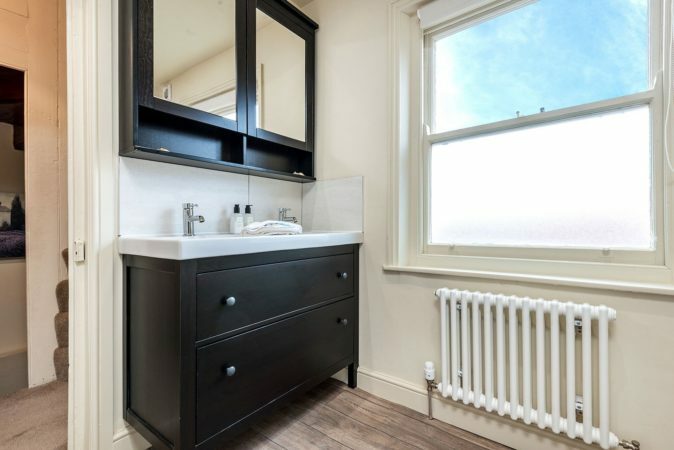 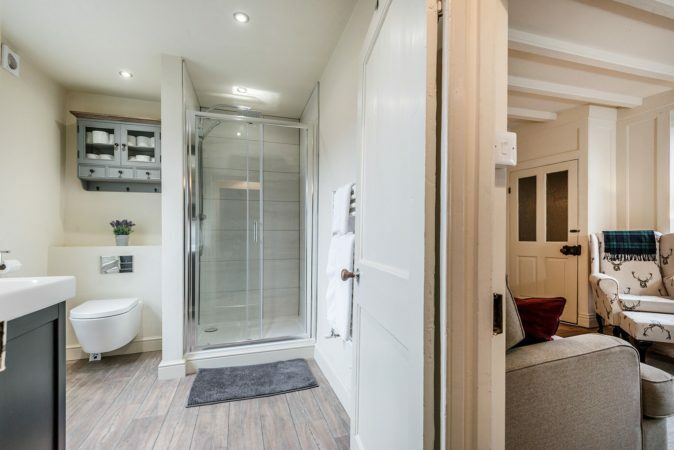 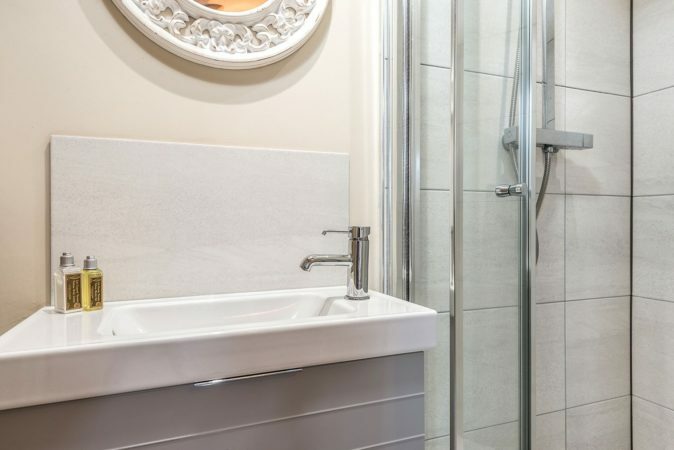 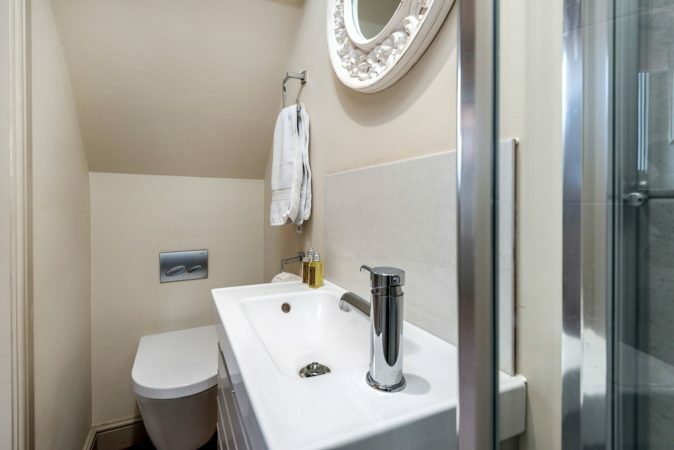 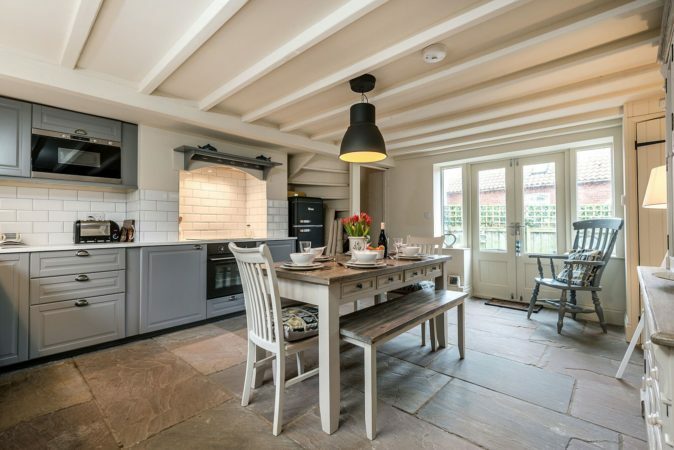 The family shower room is generous too, whilst the farmhouse-style kitchen diner on the lower ground floor is immaculately designed, with under-floor heating a fabulous touch. 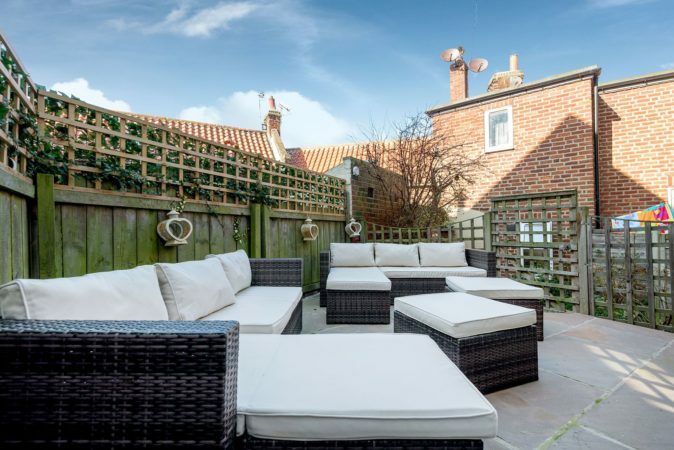 Out back you’ll love lounging on the patio, away from the bustle of the street. 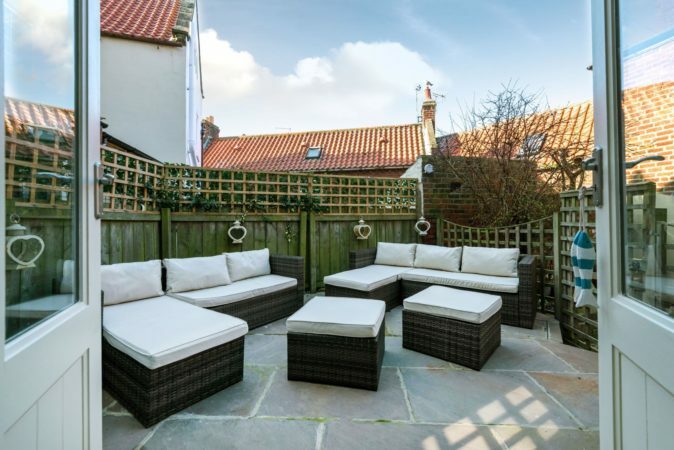 Once you’ve parked your car, you might not need it again as everything’s at hand. 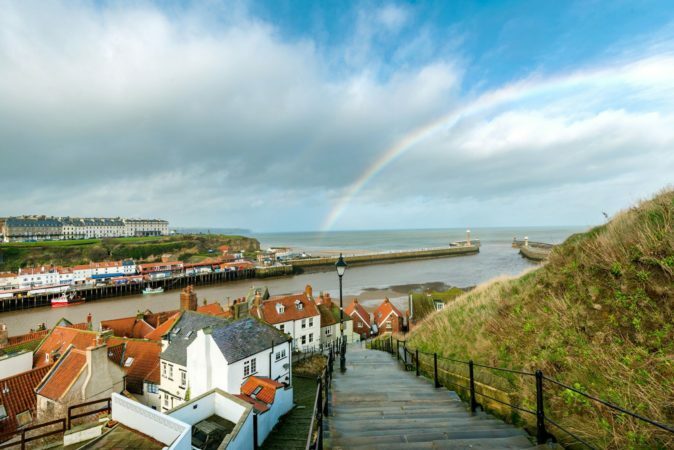 Hadley’s mouth-watering fish and chips, Fortune’s kipper smokehouse and the Duke of York pub are amongst our favourites. 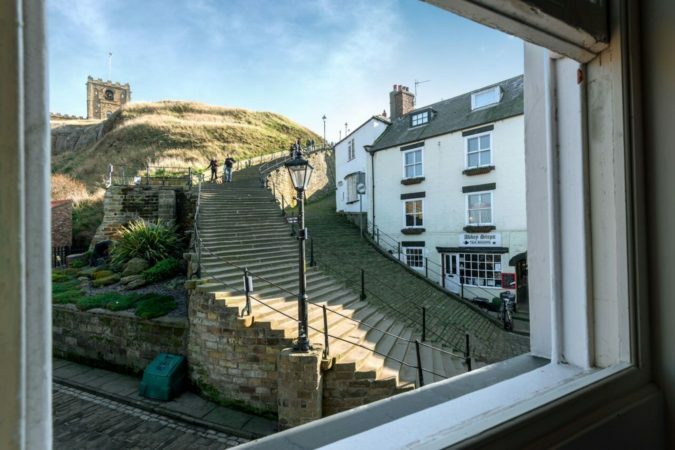 In the last 270 years, Whitby has literally sprung up around Greenfingers cottage. 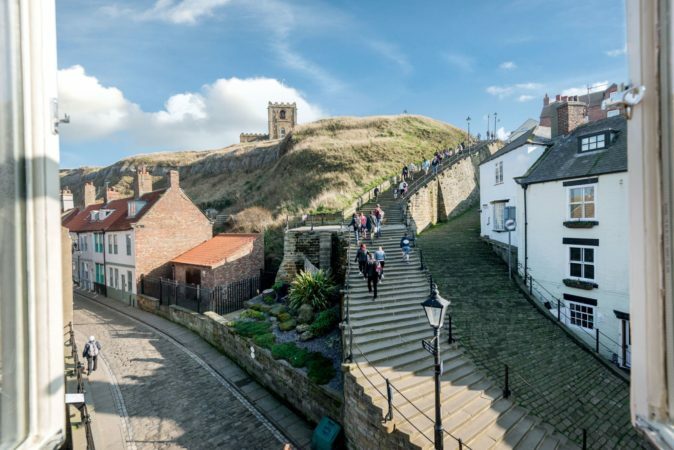 It means you don’t have far to walk before you reach the town’s most popular attractions. 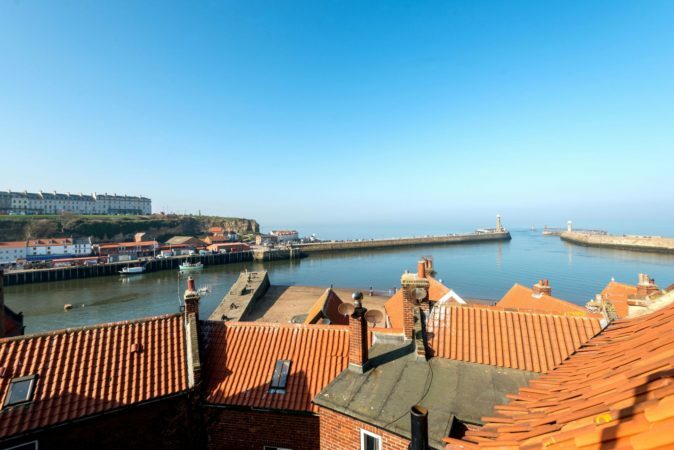 Learn the heroics of Whitby seaman apprentice Captain Cook at the harbourside museum, or support English Heritage by visiting Whitby Abbey. 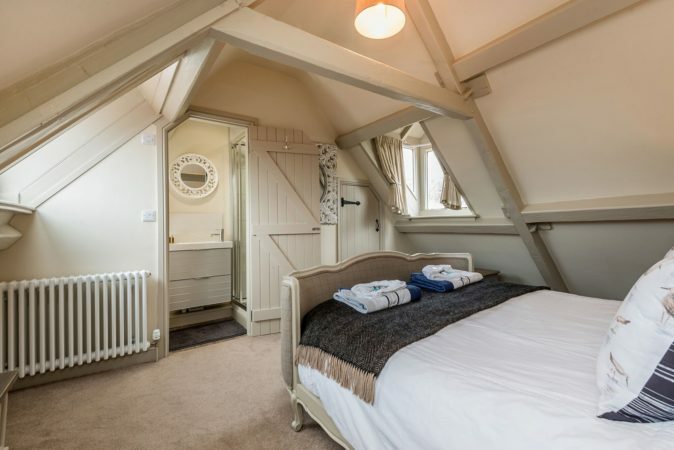 Church Street car park is the nearest long-stay parking, which you’ll need as there’s no designated space at the cottage.